July 31 was very lively in the Garten, in addition to the visit of the students of SENAI-RS and the training in NR33, we still had the pleasure of receiving an Ecuadorian entourage to visit and know our facilities, the entourage counted on employees and entrepreneurs of the the country's rice industry. The visit was guided by our director Julio Baumgarten and the collaborator Jonas Beskow Hirdes, and we presented each step of our production process in addition to demonstrating remote support to companies that already have Garten technology. 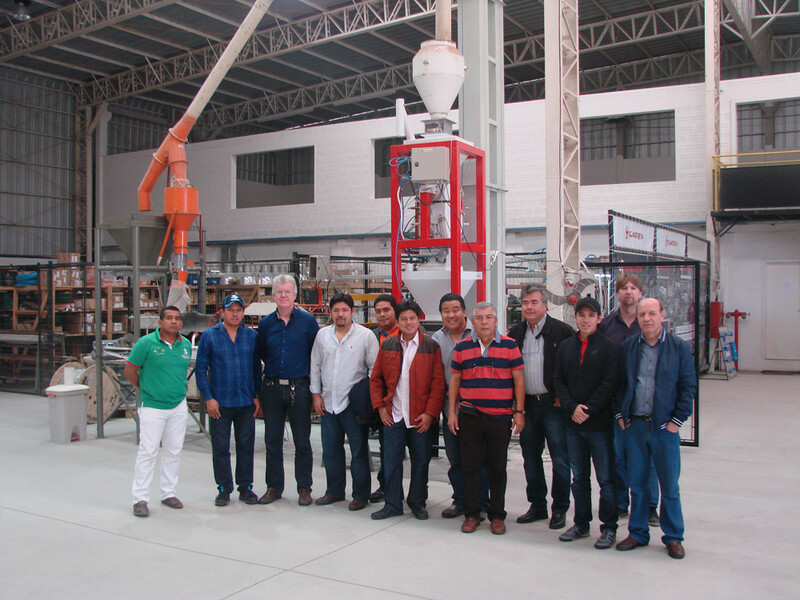 The meeting was organized by our representative in Ecuador, Mazahiro Ozeki and was attended by the following: Raul Villegas, Kerry Cevallos, Alfredo Zambrano, Senor Goya, Senor Ronquillo, Xavier Chon, Jorge Chon, Hugo Poveda and Oscar Bacci.